Should You Hire Professional Movers to Pack Your Self-Storage Unit? If you have to pack up a significant amount of stuff to move into a self-storage space, you may not be looking forward to doing all that work yourself. While it may seem a bit unnecessary, there are professional moving companies that exist to help take some of that workload off your shoulders. 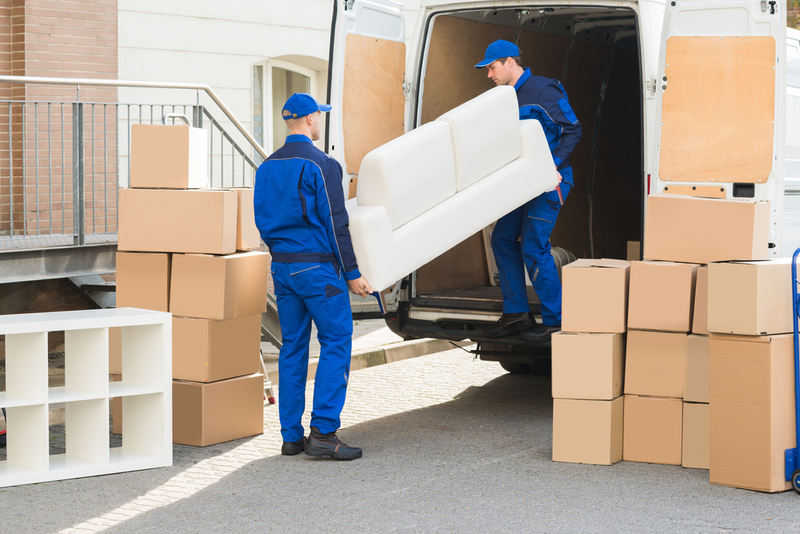 In today’s Affordable Family Storage blog, we take a look at some of the factors you should consider before you decide whether or not to hire a professional moving service to help move your items to a self-storage unit. When you’re considering whether or not to hire professionals to help you move into your new self-storage unit in Des Moines, one of the most important factors to consider is the cost. Hiring a professional crew to help you pack everything and move into your self-storage space will cost more money than if you did it yourself. However, there are a number of other benefits that come with hiring a professional service. Paying more to have professionals handle the packing and organization of your self-storage space can help reduce stress and frustration you may have about the situation, as well as free up your valuable time to get other projects done. Efficiency: Will it Be Faster? When you hire a professional team to help you pack, you are hiring them to help get a job done quickly and more efficiently. Having a group of people who are experienced in packing, organizing, and moving boxes and furniture means the job will be done quickly and efficiently. However, many people don’t feel safe letting the pros handle everything completely on their own, so you may need to be present as they handle your items. Effectiveness: Is it Really Worth It? To be quite honest, hiring a professional company to help you pack and move your items into a self-storage unit might seem frivolous, but it can benefit your specific situation. Perhaps you are in a time crunch and need to move a bunch of heavy, bulky items into storage quickly, or perhaps you don’t have people that you can ask for help when you need to move. Whatever the situation may be, you have to make that decision for yourself and make sure it is within your budget and your time constraints to do so. Whether or not you choose to hire professionals to help you pack up your items, you should choose to keep those items in a self-storage unit at Affordable Family Storage in Des Moines! We offer a variety of storage unit sizes that are easy to access and feature climate control, meaning your items won’t be damaged by extreme changes in weather. These features combined with our easy online payment system and all day access make renting a self-storage unit at Affordable Family Storage a no-brainer! Reserve your storage unit in Des Moines online today.